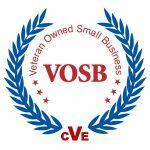 Order GSA Schedule 84 Components from Cam-Dex Security Corp. with Contract #GS-07F-0489V – we’re also a Certified Veteran Owned Small Business! The federal government is the nation’s single largest customer of law enforcement and security products and services. In 2009, Cam-Dex Corporation was awarded a GSA Schedule 84 contract by the US General Services Administration to directly sell custom integrated solutions for law enforcement, security, facilities management, fire, rescue, clothing, marine craft, and emergency/disaster to US government agencies. The contract (#GS-07F-0489V) allows federal agencies a fast, easy way to purchase a range of listed security system integration, design services, security management, and support services from Cam-Dex at competitive, pre-negotiated prices. The prices are also available to state, county, and municipal government agencies. This has saved agencies – and taxpayers – the cost of having to complete a lengthy competitive bid process. For more information on how to use this contract vehicle, contact Cam-Dex at 913-621-6160, or direct email inquiries to govsales@cam-dex.com.